Counting began after polls closed late Wednesday, wrapping up three days of voting. Egyptian authorities went to great lengths to bolster turnout in a bid to give the election legitimacy. Official results are expected on April 2. Provincial governors and other officials promised incentives and financial rewards, and in some cases resorted to threats to get people to the polls. The National Elections Authority threatened fines of around $30 for anyone boycotting the election, but similar warnings have been made in the past without being widely enforced. 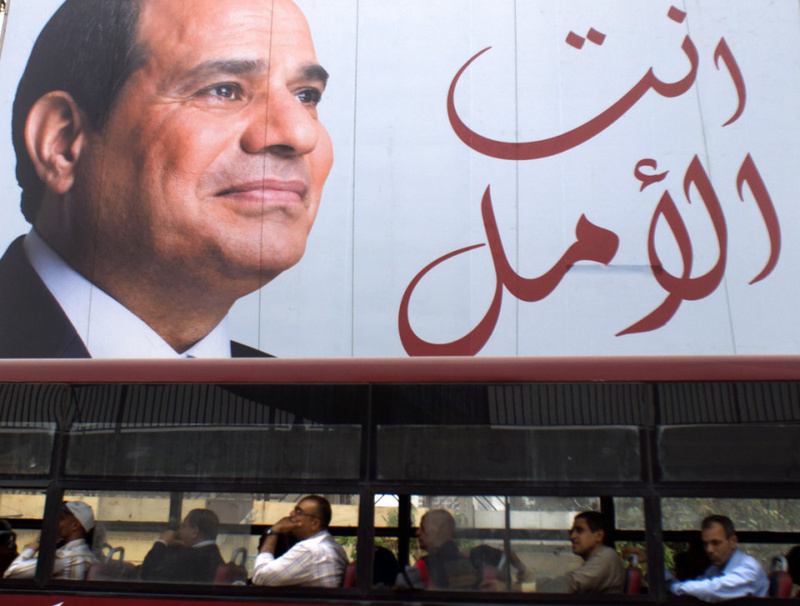 Local media, which is dominated by pro-el-Sissi commentators, also urged people to vote, portraying it as a national obligation and warning against foreign plots to undermine stability. The website of the state-run newspaper Al-Ahram said around 25 million of the country's 59.7 million eligible voters cast ballots, with the overwhelming majority going to el-Sissi. It said el- Sissi leads with around 92 percent, with his little-known opponent, Moussa Mustafa Moussa, only getting 3 percent. Other media outlets released similar figures. Figures reported by another daily, Al Youm Al Sabea, showed that invalid votes amounted to about 6 percent, or some 1.5 million, more than Moussa received. In the 2014 election, el-Sissi won 96.9 percent of the vote, with official turnout of 47.45 percent. That was less than a year after he led the military overthrow of President Mohammed Morsi, Egypt's first freely elected leader, amid mass protests calling on Morsi to resign. In the lead-up to this election, several potential candidates were arrested or withdrew from the race under pressure. Moussa joined at the last minute — sparing the government the embarrassment of a one-candidate race — and made no effort to challenge el-Sissi. El-Sissi has waged a massive crackdown on dissent since Morsi's overthrow. Morsi's Muslim Brotherhood group, which won a string of elections after the 2011 uprising that toppled Hosni Mubarak, has been outlawed as a terrorist group and driven underground. Authorities have since jailed thousands of Islamists as well as several prominent secular activists. Unauthorized protests are banned, and hundreds of websites, including those of independent media and rights groups, have been blocked. Several local reporters have been jailed, and a British journalist was expelled last month. El-Sissi has said such measures are necessary to defeat an Islamic State-led insurgency based in the northern Sinai Peninsula and to rebuild the economy after years of unrest.